NMBA’s mission is to educate current and prospective lenders in the marine financing procedures, promote credit to consumer and trade borrowers, maintain alliances with industry partners, measure and report on the vitality of the marine lending market, and maintain networking and communication among members and associate members ( which includes documentation services, re-marketers, insurance agencies, marine attorneys, and other). At Global Marine Insurance Agency, we earned our reputation by providing the best boat insurance policies with superior customer service that keeps our customers afloat - long after the policy is sold. The Southwest Florida Marine Industries Association is made up of a broad range of businesses with an interest in recreational boating. The Association plays an active role in the local community and has, for more than 40 years worked to protect the rights of the boating public and its member businesses. First Protection Corporation was the originator of the marine extended service contract and today we proudly serve over 2,000 dealerships across the U.S. 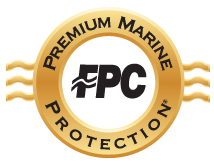 Since 1978, FPC Premium Marine has been serving both franchise and independent dealerships with the FPC Premium Marine Protection Plan.